Andy’s solo album Marked Card was released in 2014 and he has been performing at various concerts and festivals in both UK and internationally. His compositions have been used on many TV and radio programmes. 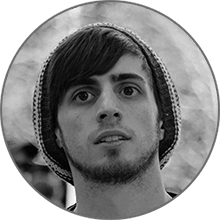 Andy has crafted his music and his career as a session guitarist working with various artists in the studio and stage. 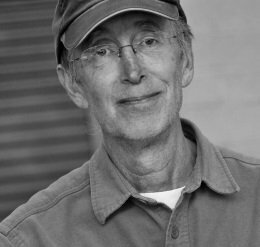 He has also written and published academic papers on music, acoustic ecology and composition and delivered seminars and lectures to aspiring musicians and contemporaries within the industry. 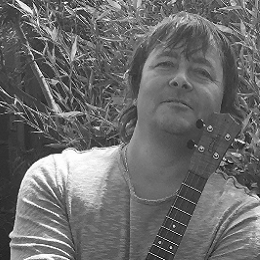 Most recently Andy has released a second album Sankey Brown – Never to Fade which is a joint project with Ray Brown (singer-songwriter), he continues to compose music for TV, radio, and film. He has consulted in the development of music, performing and production arts qualifications at the University of the Arts London which focus on developing skills and techniques to support progression into the industry. Jonathan has been building ukuleles for some years now, with the constant goal to make each better than the last one, in both looks and sound. Why ukuleles you say? Well, Jonathan finds guitars to be ‘large’ and cumbersome to hold. For that reason, he has always liked the feel of a ukulele. Something small and delicate, and very personal. If holding a guitar is holding an adult, then holding a ukulele is holding a baby. They are a lot tougher than we give them credit for, but all the same, we hold them with a sense of gentleness and marvel at their delicacy and beauty. Jonathan lives in Eastern Pennsylvania and realizes that this region, indeed the whole Appalachian chain, is kind of ‘hardwood central’. While there are lovely tropical woods, and he certainly has a few pieces around, he has become interested in using local woods. Sycamore (if sawn just right) is spectacular. Dogwood is lovely, and very fine grained. Jonathan has acquired some spruce from some rather old local trees which sound great and are beautiful to look at. Locust is very intriguing, and he has been told by a reputable source that it is the best local tone wood, comparable to the tropical rosewoods. Then there is the old-growth redwood that he has come across that used to be water tanks on top of apartment buildings in New York City. Really lovely stuff and that sounds absolutely wonderful. 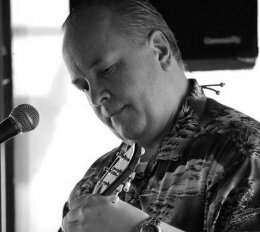 Mark Swarthout, known as The Ukulele Dude, is a graduate of Texas A&M University and the University of Detroit School of Law. A veteran of the US Navy, Mark has been working in various aspects of the information technology and automotive industries for over 25 years. Currently he works as a Contract Manager and resides with Cathy, his wife, and a cat in the Detroit area. He can be found strumming his ukulele while teaching and learning at various events around the community. 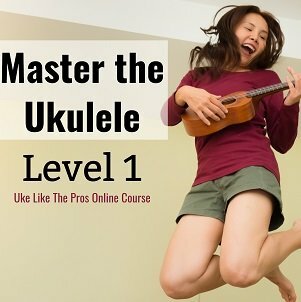 He has written the book “Unlock Your Ukulele” and maintains the website TheUkuleleDude.com where he publishes reviews, helpful hints, historical pieces and lots of pictures of ukulele players having fun! Mark also writes fiction under the pseudonym of Mark S. Wellington. His books and stories are also available on Amazon and other booksellers. Ryan Harrell is a digital nomad with a lifelong love for music. After tinkering with music all his life (and paying his way through college with DJing gigs), Ryan worked for a number of Silicon Valley startups as a technologist, and later, a marketer. In August 2017, he finally jumped ship to pursue two of his most cherished passions – music and traveling. Currently traveling through South-East Asia, Ryan still uses his background in electronic music and experience playing real instruments to help fellow musicians produce and mix their tracks better. He also uses his marketing knowledge to help musicians promote their music using cutting-edge tactics. Ariel grew up on the small, beautiful island of St. Thomas USVI. She is currently keen on traveling the world, hoping to visit all continents (except Antarctica, which is a little too cold for her island bones). Ariel is usually very active, playing soccer or rock climbing. She also enjoys reading and playing the ukulele. Lately, she has been passionate about the environment and renewable energy. Luckily she has a degree in Mechanical Engineering, in hope she will one day make a difference. Joseph has been a guitar player for over 5 years. He is the founder of bestguitaradvisor.com and is passionate about helping guitar-enthusiasts find the right guitar equipment. 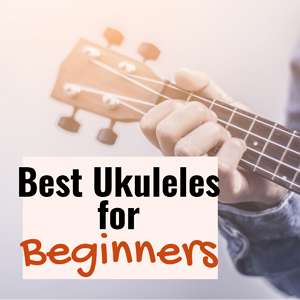 We are accepting interesting, well-written ukulele-related guest posts. The post should be between 400-1000 words. You may add images and embedded videos. First-time contributors will be able to link back to their site or social network channel. 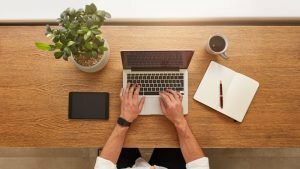 Repeating contributors may be paid according to the level of writing. Posts should be accompanied by a short (approx. 50 word) and informative bio and photo (bio may include links).